300 meters seems to be a very conservative depth rating for this watch. With a huge, over built stainless steel case (earlier, in titanium), 6mm thick crystal, and helium proof gasketing, it seems like an underwater tiger tank. Has anyone had this model tested on an ROV or other method? Hi T, I did a bit of hunting around and there's a number of threads suggesting that it should have a higher rating. Unfortunately I couldn't find any actual test data. I think that ChrisGalbraith76 over at WUS summed it up best in this post from 2015, as follows. 1) The Ecozilla and Autozilla share the exact same case design. Only differences are: crown area construction/design, and the fact that one is an auto watch and the other is a quartz watch. Also worth of mentioning, the auto has a 6mm sapphire and the eco has a 6mm mineral crystal. 2) The Autozilla is a diver's 1000m W.R. resistance watch. The Ecozilla is a diver's 300m W.R. resistance watch. 3) Wouldn't it stand to reason that since both watches share the same casing structure, and one is capable of 1000m of pressure, the other one would be capable as well? 4) Citizen probably marketed the Eco W.R. 300m to not rob market from the Auto W.R. 1000m, since the Eco is the cheaper of the two. 5) Last, the Ecozilla came to the market first, back in 2004. If I remember correctly, the Autozilla didn't see the light of shelves until 2006. So yes, IMHO, the Ecozilla is just as capable of 1000m as its bigger brother. Last edited by Tim. ; 02-03-2019, 02:38 AM. That's pretty much what I was thinking - under rated on purpose. It would be nice to see someone do a real world depth test on it though. I'd go so far as to say that the 'weak' link is the 6mm mineral crystal, and that's about it. How deep could it go? I bet these watches could hit 2000 meters depth without imploding. My Timex Humvee went to 300 meters of pressure of 100% helium and it survived and still works just fine. That's interesting re the Timex T. I wonder, if you're using 100% helium, wouldn't the helium molecules seep through the seals and equalise the pressure? If both cases are identical, can a replacement sapphire glass for the auto be substituted for the mineral glass in the eco? Why the isn't the eco available with the option of a sapphire crystal? 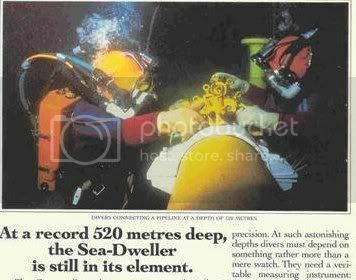 I suppose we could ask the same question about a whole lot of Seiko's divers. It's all down to price points and marketing I suppose......if we only had to pay a little extra for sapphire, we wouldn't pay a lot extra for the "top of the line" models. Last edited by Tim. ; 02-03-2019, 10:12 PM. Yeah I was wondering the same thing about the sapphire - would the auto's sapphire replace the synthetic on the eco? As to the Timex, like all watches the helium gets in but cannot get out fast enough - the helium is basically forced by pressurizaton, in and around the regular o-ring seals. While decompressing, it is not 'forced out' through the same path it came in, so it ends up generally in an 'explosive decompression' scenerio - usually by blowing out the crystal (This happened to two different commercial diving friends of mine - one wearing a Heuer, the other wearing a G-Shock. The Heuer crystal blew out and flew around the chamber, and the G-Shock blew out in pieces). The 100% helium (That I put the Timex through), was a test situation on a piece of habitat to check seals and I put it inside the chamber in a porthole so I could view it. The Timex kept perfect time the whole duration and suffered no ill effects - I was surprised actually. Would the mineral crystal allow for a greater WR than the same thickness in sapphire? Seems like mineral is tougher than sapphire, but I've been wrong before.